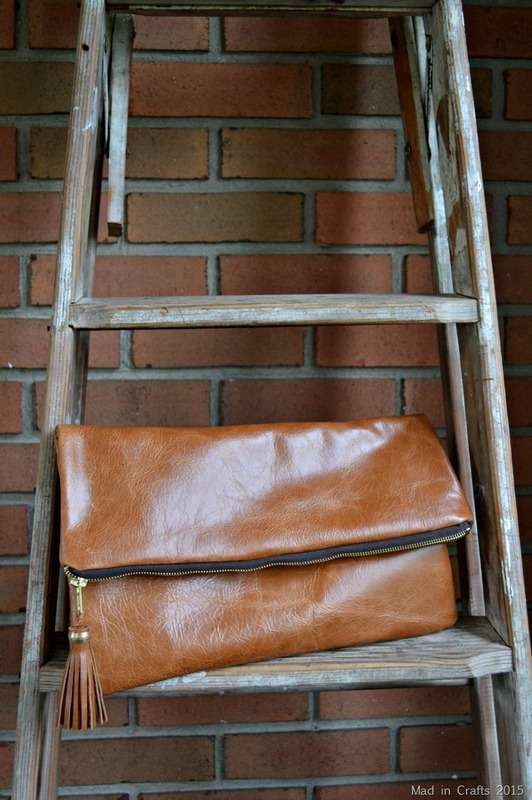 I have plenty of leather left over from my clutch project to allow me to make a few more leather DIYs. 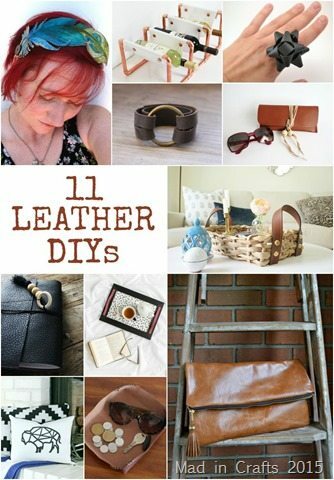 I have been searching around the web for inspiration, and I have found so many cool leather craft projects. I am sharing a few of them with you today, so you can be as inspired as I am! 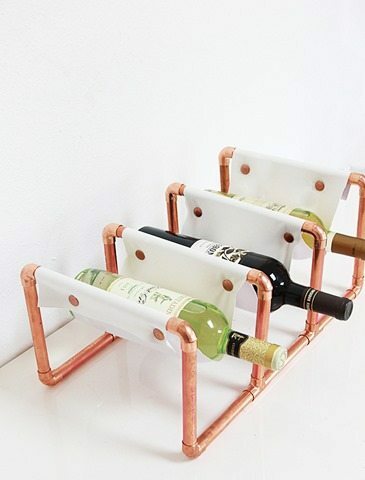 COPPER AND LEATHER WINE RACK – A BUBBLY LIFE: This gorgeous industrial wine rack is made from copper piping and leather. 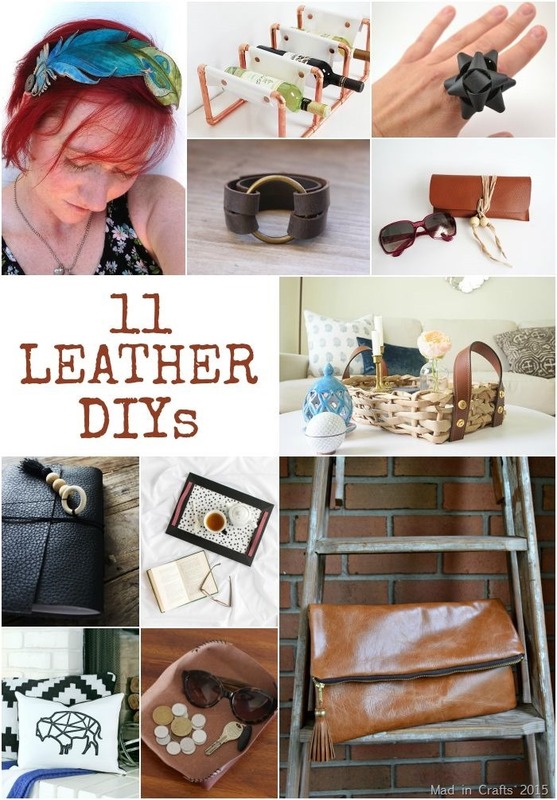 I would need to get a few new leather working tools before I could tackle this DIY. 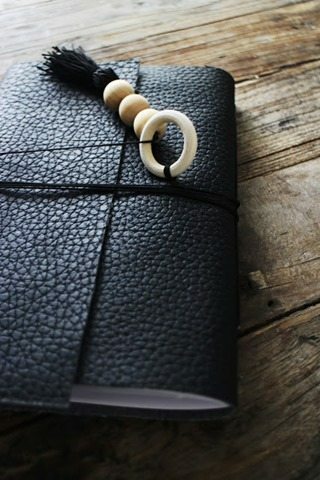 DIY LEATHER NOTEBOOK – MISS MONDAY: Leather covered notebooks always look so chic. 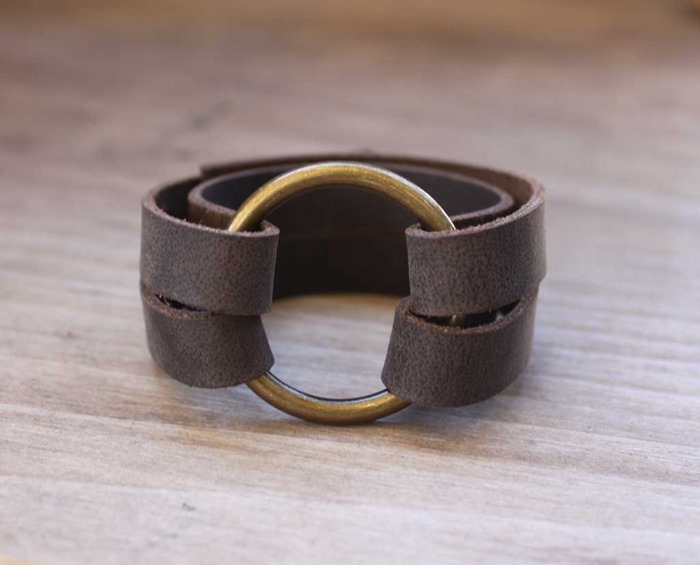 This is a simple project that even beginner leather-workers could try. 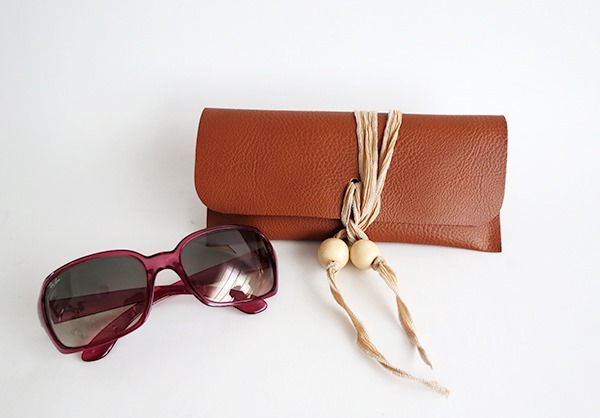 FOLDOVER CLUTCH WITH TASSEL – MAD IN CRAFTS: Yeah, yeah, I am promoting my own project, but I am so proud of this clutch! 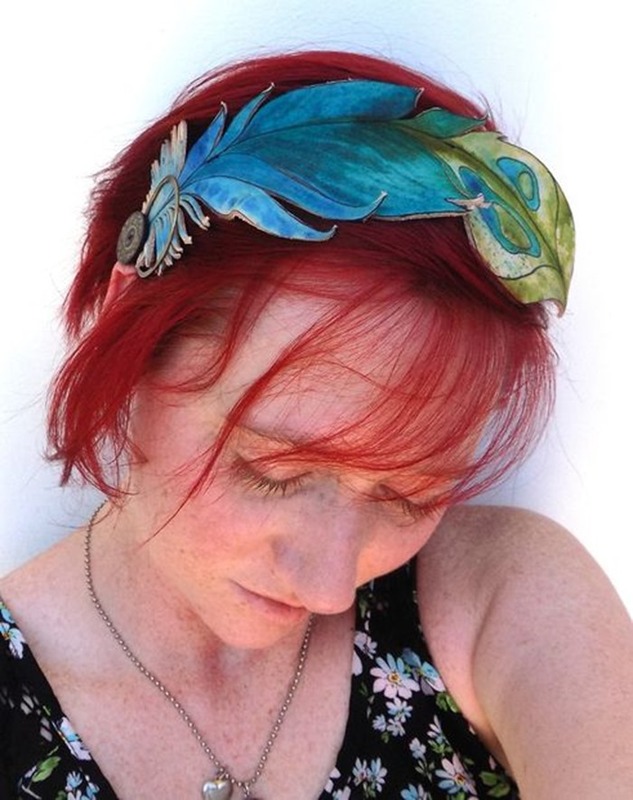 And if I can sew it, anyone can! 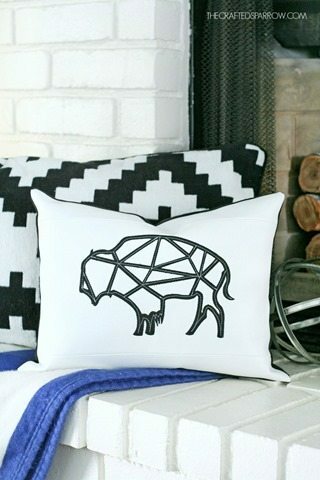 GEOMETRIC BUFFALO PILLOW – THE CRAFTED SPARROW: I am not sure my sewing skills are up to this level, but what an amazing payoff! HAND PAINTED LEATHER HEADBAND – INSTRUCTABLES USER BROOKLYNTONIA: This project is perfect if your leather has seen better days. The hand-painting makes it truly one-of-the-kind. 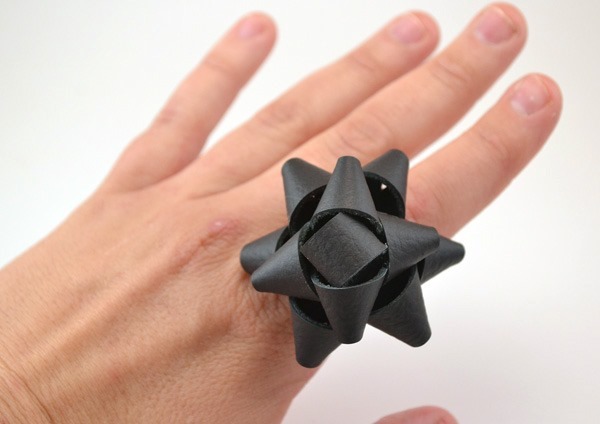 LEATHER BOW RING – DREAM A LITTLE BIGGER: I love the idea of wearing this leather bow as a ring, but I also think it would make a show-stopping decoration on a gift! LEATHER CATCH-ALL – ALYSSA AND CARLA: What house couldn’t use a few more catch-all to keep it organized? This is a simple sewing project that is practical and pretty. LEATHER HANDLED SERVING TRAY – HISTORIAS DE CASA: I am keeping this project idea in my back pocket for when I am down to just a few scraps of leather left. 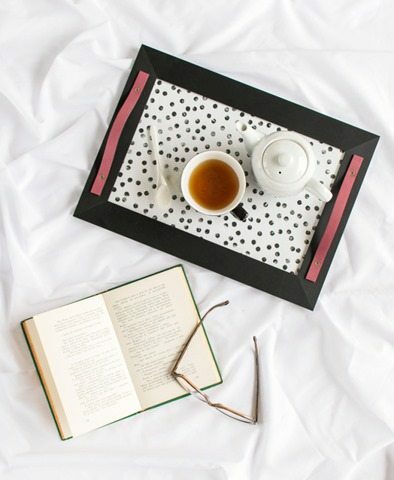 The handles on the tray are just enough to make it special. LEATHER O-RING BRACELET – SOMETIMES HOMEMADE: This bracelet is inspired by Joanna Gaines of Fixer Upper, and is a perfect day-to-day accessory. 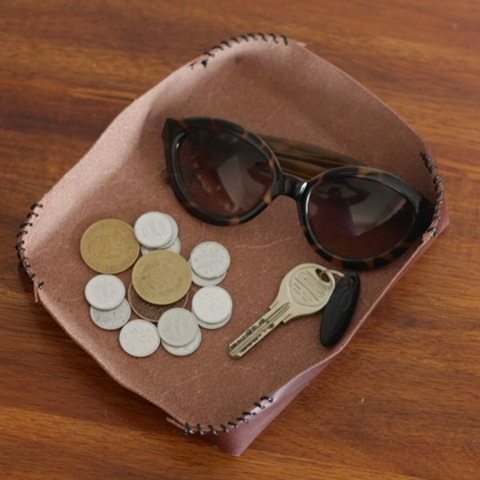 NO-SEW SUNGLASSES CASE – DREAM A LITTLE BIGGER: I have a bad habit of just tossing my sunglasses into my purse, leaving them scratched and dirty. This case keeps them safe AND it’s a no-sew project. 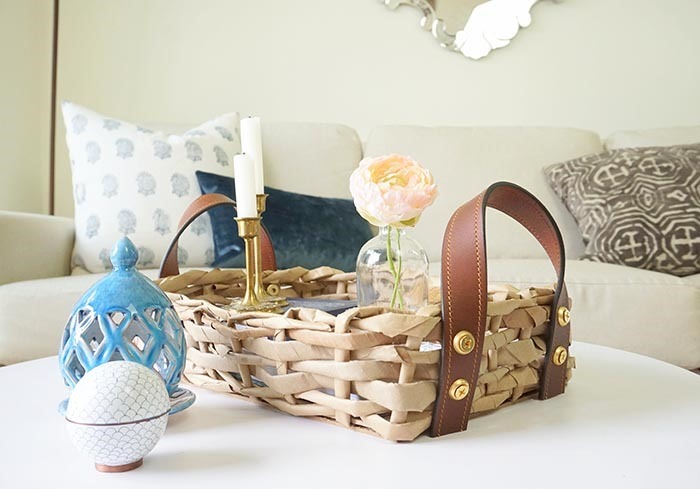 PAPER BASKET WITH LEATHER HANDLES – DESIGN*SPONGE: At first glance, I bet you didn’t notice that this isn’t actually a wicker basket. Yes, the leather handled basket is actually woven from upcycled paper bags.